When you are in need of legal support because of an accident or workplace injury, one of the first things you should do is hire an experienced personal injury lawyer. Not only do they understand the ins and outs of the legal system, but they can also represent you to help get the compensation you deserve. Unfortunately, there are a number of misconceptions surrounding these types of lawyers that make people hesitant to hire one. Perhaps many of the perceptions about personal injury lawyers come from the entertainment industry. However, today’s personal injury lawyer is a champion for doing the right thing, and will represent clients with an unparalleled passion and attention to detail. 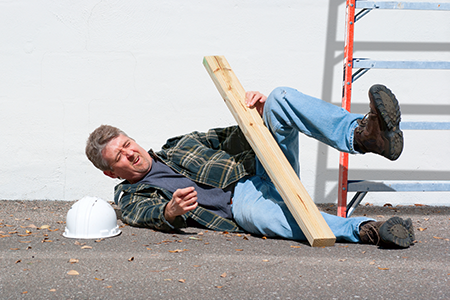 Here are some of the most heard misconceptions about personal injury lawyers. This is without a doubt the biggest negative stereotype about personal injury lawyers. They’re depicted as ambulance chasers who can only find clients by scouring the scene of an accident. This is disingenuous for a number of reasons, but mainly because it depicts them as heartless figures who only see personal injury as a means to a profit. This couldn’t be further from the truth. A personal injury lawyer practices that type of law because they genuinely want to help people who have been wronged. They give a voice to the voiceless, and seek justice for people who otherwise would never be able to obtain it. This isn’t so much a stereotype as it is a red flag. It cannot be stressed enough, but nothing is guaranteed when it comes to personal injury cases. You have probably seen advertisements on TV, in phone books, or even on billboards, that says something along the lines of “We guarantee a minimum of $10,000 in your personal injury case no matter what!”. Firstly, it’s impossible to know how much a case will yield before it even starts. There are a number of factors that determine the outcome, and there is no law setting a minimum amount of reimbursement. Secondly, there is no such thing as an open and shut case. There might be a lot in your favor for the case, but it’s impossible to guarantee. A lawyer who tells you otherwise is either not experienced, or lying just to get you to hire them. While it varies from state to state, it is true that a number of personal injury cases will end in settlement before it gets to trial. However, just like it’s impossible to guarantee success, it’s impossible to say you won’t go to trial. Hiring a lawyer with not only trial experience, but a history of success, is invaluable to your case. Whenever you find yourself the victim of negligence and have a personal injury case on your hands, you want to hire a lawyer who specializes in personal injury law. Don’t feel like you need to settle for less than you’re entitled to.